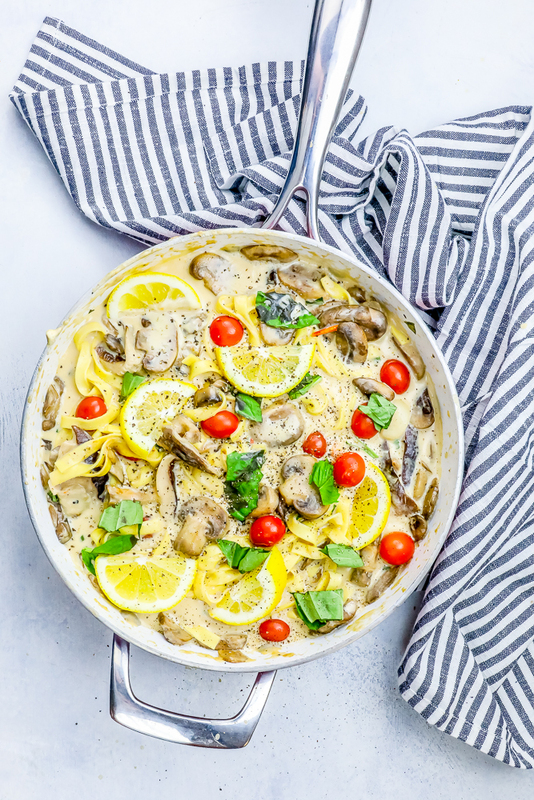 One Pot Creamy Tuscan Mushroom Linguine Recipe is a lightened up comfort food classic bursting with fresh flavors and tons of rich and creamy deliciousness! 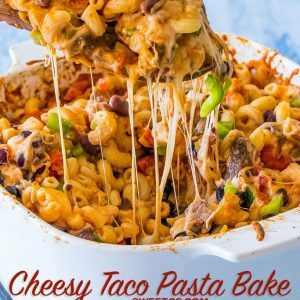 Perfect easy restaurant quality pasta dinner in less than 20 minutes. 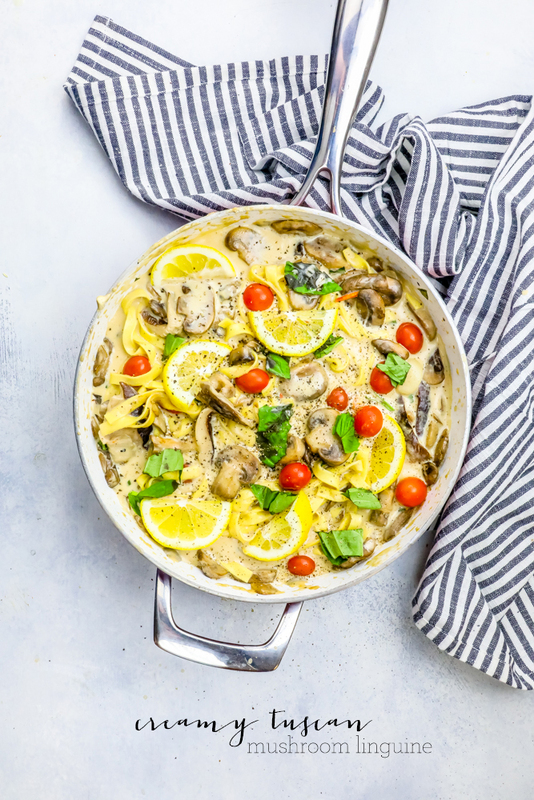 I love rich, delicious, creamy and unforgettable pasta dishes – there is nothing more comforting than tucking into a creamy, delicious, and hearty hot bowl of pasta when you need a big bowl of comfort. 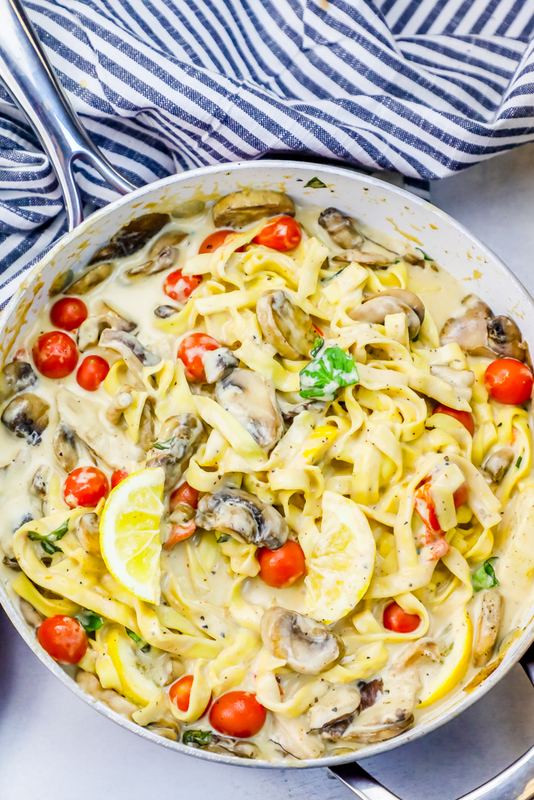 This One Pot Creamy Tuscan Mushroom Linguine is a decadent, garlicky dish of hearty cream linguine sauce bursting with garlic, lemon, charred tomato and mushroom that you’ll want to eat again and again. 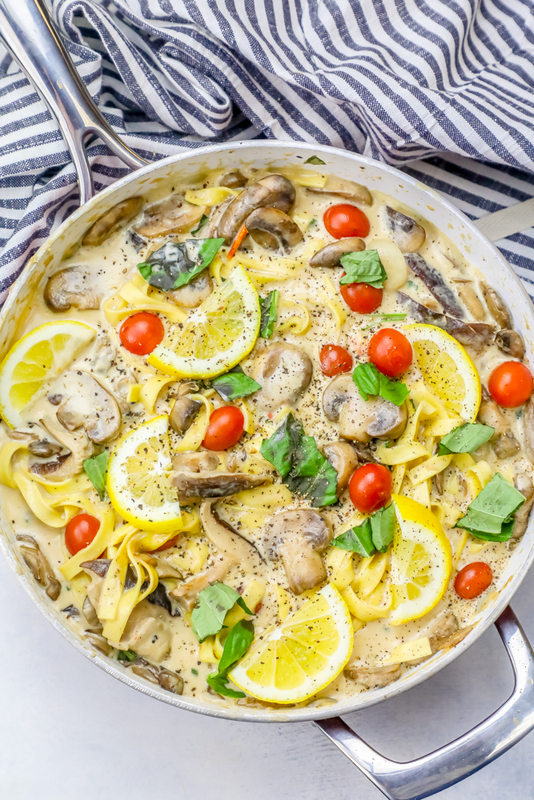 This one pot creamy pasta dinner is elegant enough for a dinner party – and easy enough to make any night of the week. One package of cream cheese has about 800 calories, 72 grams of fat (48 are saturated), & 240 mg of cholesterol. Neufchatel cheese has 560 calories, 48 grams of fat (32 are saturated), & 160 mg of cholesterol. 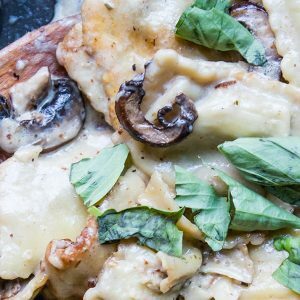 Half and half has less calories than heavy cream – and less fat – but more carbs. If you’re watching calories and fat, opt for half and half. If you’re watching carbs, go for heavy cream. 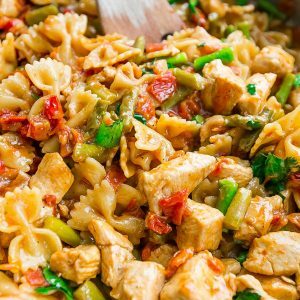 Grilled chicken, steak, seafood (salmon and shrimp), or even tofu are a fabulous addition to this easy one pot pasta. 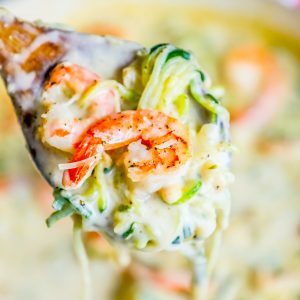 Zoodles (spiralized zucchini noodles) are an excellent low carb and low calorie swap for pasta – and are delicious in this recipe! Simply spiralize two zucchinis and add to dish when you would add fresh (not dry) pasta. 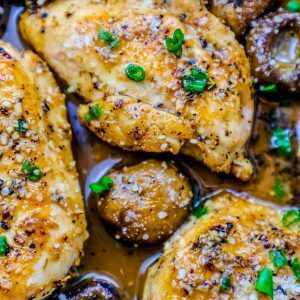 Cook to slightly softened and serve! 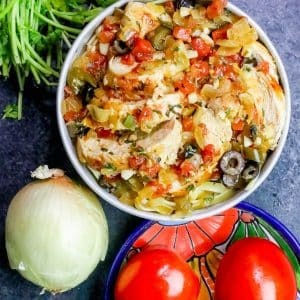 To bring out the most flavor from this dish, let the onions brown and soften fully before adding pasta or cream to the dish. 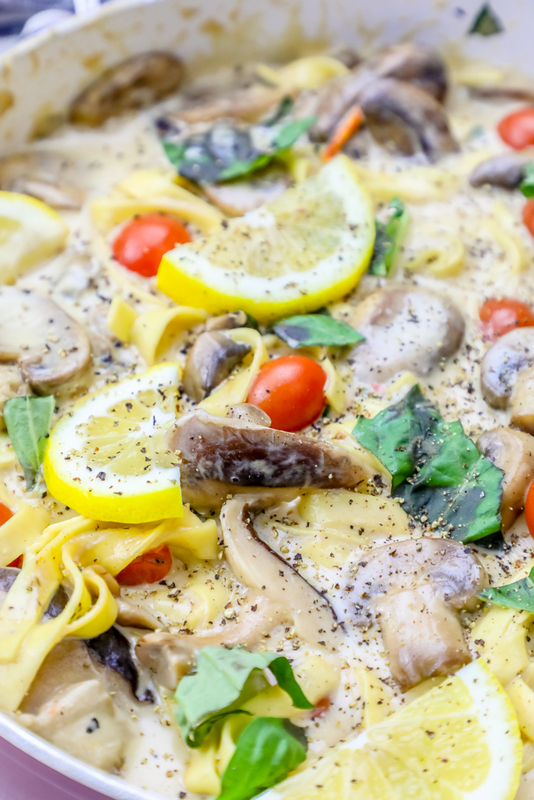 This develops the rich meaty flavor that makes this one pot pasta dinner so unforgettable! 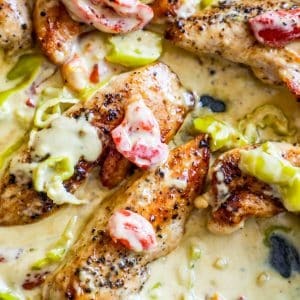 Prevent Cream Sauce from Breaking. Turn stove off when adding heat into dish and whisk vigorously – this will help prevent your sauce from breaking. 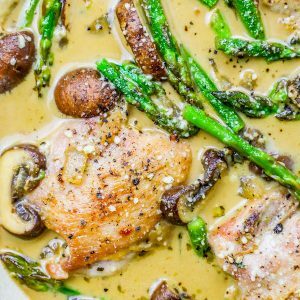 If you’ve ever wondered how to keep a cream sauce from separating, this tip is perfect! 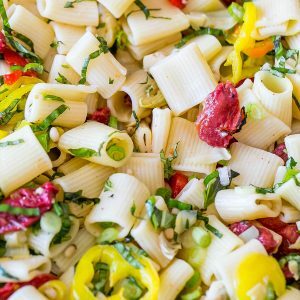 I prefer using fresh pasta (not dried – the kind you get in your grocer’s chilled deli case instead of the dried pasta in boxes) – it cooks faster and soaks up sauce perfectly! Don’t overcook pasta or zoodles. 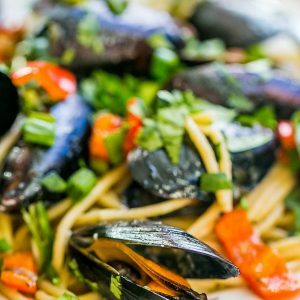 If using zoodles or with regular pasta, a little bit of bite to the noodles tastes the best – don’t overcook them and let them turn to mush! 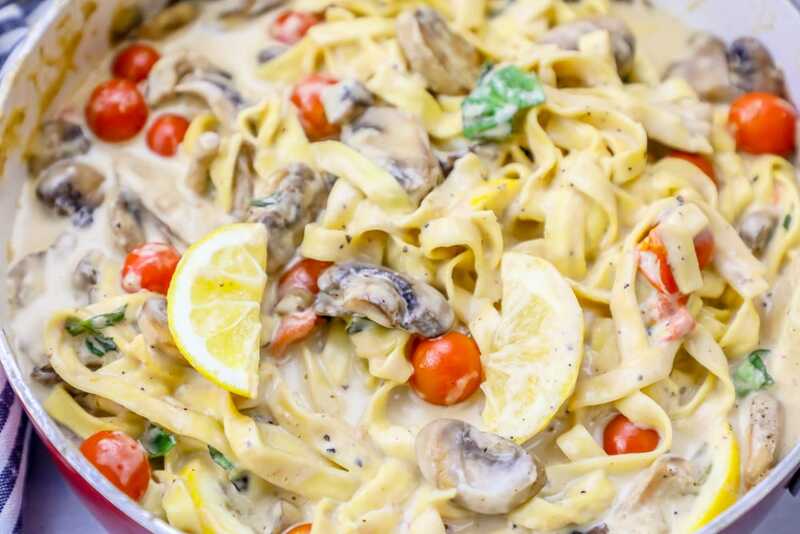 If You Love This One Pot Creamy Tuscan Mushroom Linguine Recipe, check out some of my other favorite creamy one pot dinners! 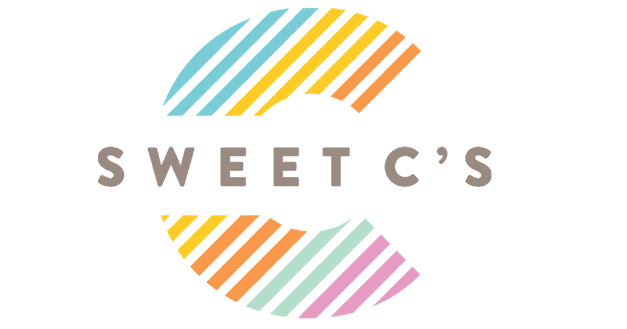 Click each link to find the easy printable recipe. 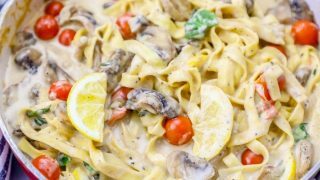 If you love this One Pot Creamy Tuscan Mushroom Linguine Recipe as much as I do, please write a five star review in the comment section below (or on Pinterest with the “tried it” button – you can now add pictures into reviews, too! ), and be sure to help me share on facebook! 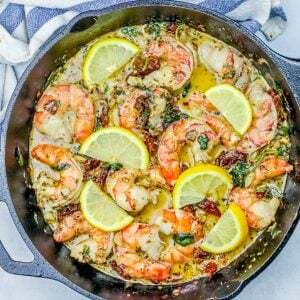 In a large, heavy pan, heat olive oil on medium high until shimmery. 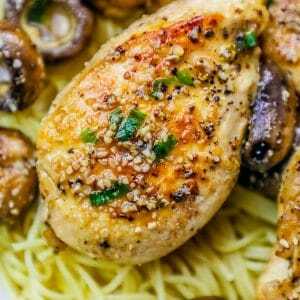 Add onion, garlic, mushrooms, and tomatoes, and sautee until soft and fragrant and slightly browned - about 5 minutes, stirring occasionally. Season vegetables with salt, pepper, and Italian herbs and continue to cook until tomatoes start to pop and vegetables are browned and soft, about 4 minutes more. Add lemon juice and stir - scrape any browned bits from bottom of pan. Stir in neufchatel cheese and melt. With a whisk, stir in half and half and parmesan cheese to pan, whisking vigorously. 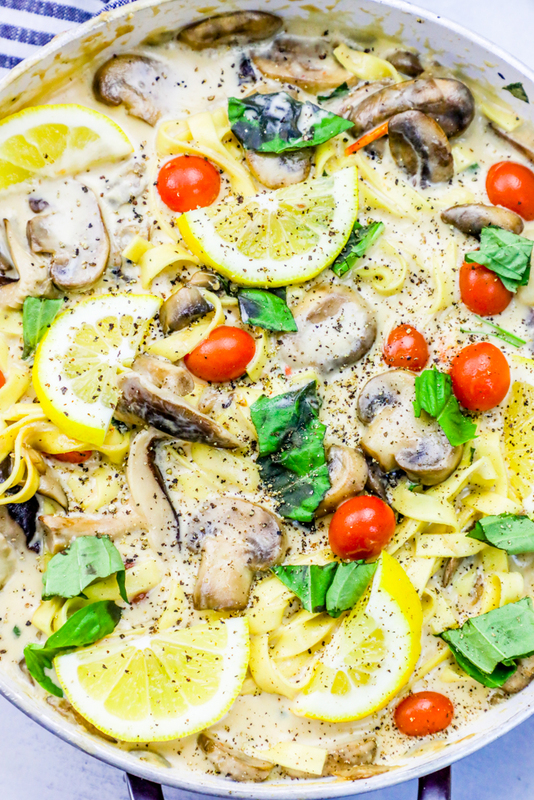 Return heat to pan and add in pasta and lemon wedges. Toss pasta and continue to cook over high heat until pasta is soft (about 3 minutes) and coated evenly. 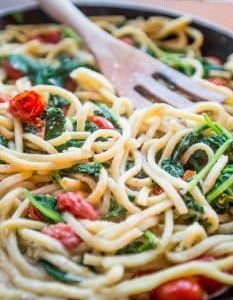 When pasta is al dente, plate and top with parmesan cheese and serve immediately! I just wanted to let you know that your pintrest button isn’t working. None of your recipes can be pinned. i don’t know if you’re aware of this. 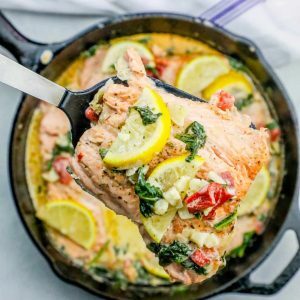 Love your recipes, just wish I could save them. Thanks for letting me know Elie – I will check into it!